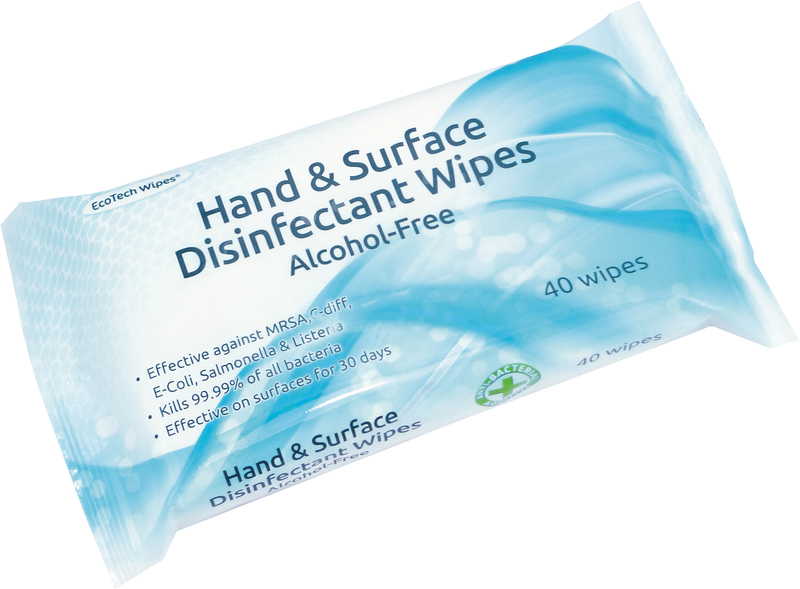 Hand & Surface Disinfectant Wipes - Alcohol Free a dual-purpose alcohol-free wipe for cleaning and sanitizing hands and hard surfaces. Indirect food contact safe. Ideal for use in food preparation areas. The formulation remains active on the wiped surface for 30 days, enhancing infection control procedures. Kills 99.9% of all bacteria including E-coli, Salmonella, Listeria, MRSA & P.Aeruginosa. Being alcohol-free makes them suitable for use in Halal establishments. Tested to BS EN13727, BS EN1276 & BS EN1438.